For us, the places we went were home. We didn’t care if they were good or evil or neutral or what. We cared about the fact that for the first time we didn’t have to pretend to be something we weren’t. We just got to be. That made all the difference in the world. 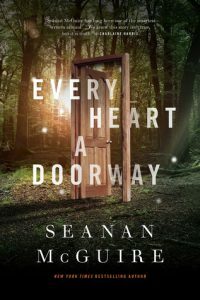 Seanan McGuire’s Every Heart a Doorway is a fairy tale homage. 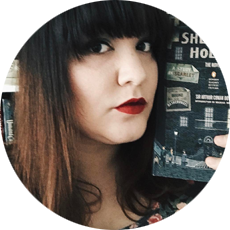 McGuire weaves in a lot of fairy tale and childhood fantasy references that make this a joy to read to try to connect all of those threads. Eleanor West’s Home for Wayward Children is a place where parents send their troubled, “uncontrollable” children. The children who have been sent there are those who have said that they’ve visited other worlds, other places, through actual doors or through other means that are probably immediately identifiable to those who read a lot (a wardrobe, a rabbit hole, etc). This story really resonated with me because of the quote above. For me, so much of growing up and becoming myself meant learning how to shed the masks I wore, and sometimes still wear. When you find that place in life where you feel like you can be completely yourself without shame or fear is like nothing else. Sometimes it’s as simple as aging, sometimes it’s the people you meet and become friends/family with, and sometimes it’s the actual place in which you live that helps shape everything. And then, when you’re taken away or removed from that place, even if you only visited for a moment, all you can really think about is getting back to that place. Longing and nostalgia can be as powerful a drug as any others, and sometimes the only salve is finding people who have shared experiences and feel the same way as you. Realizing you’re not alone is such a healing thing. If you like reworked fairy tales or stories about belonging and loss, you really need to read this. I can’t wait to read the others in this series.